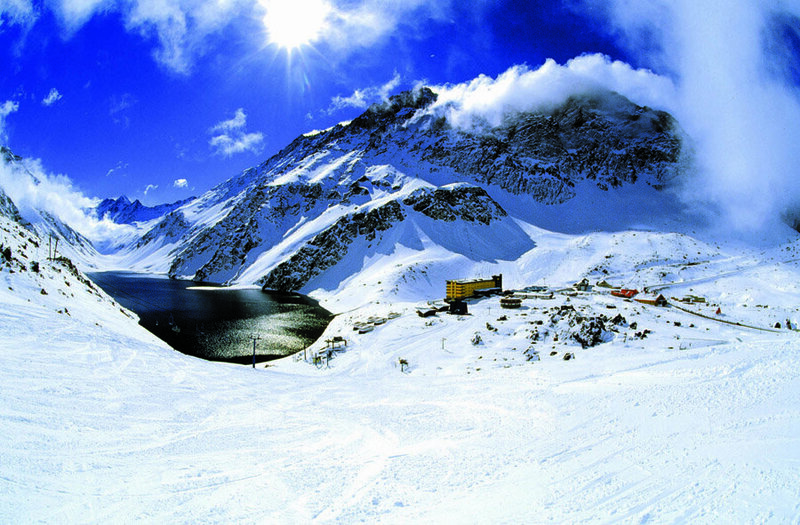 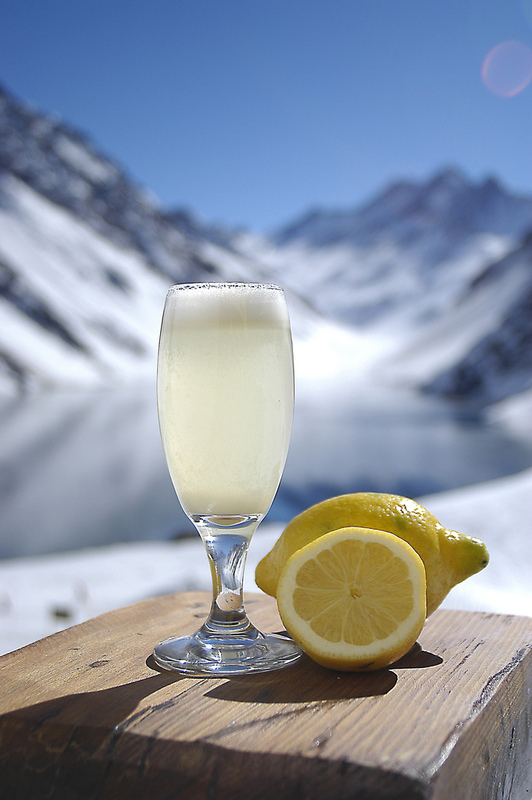 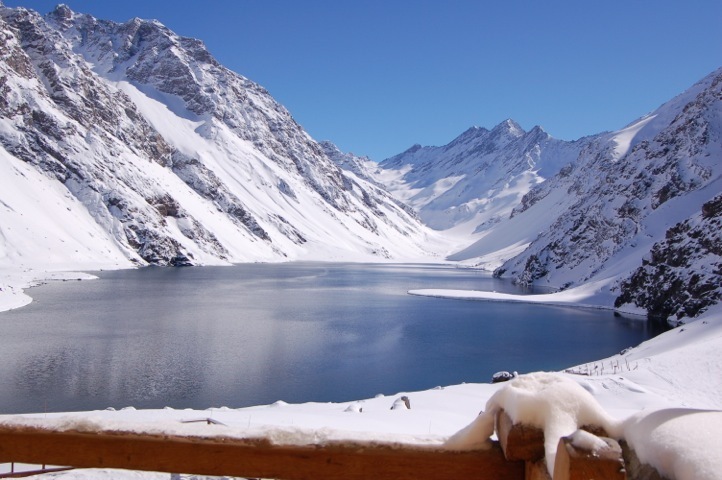 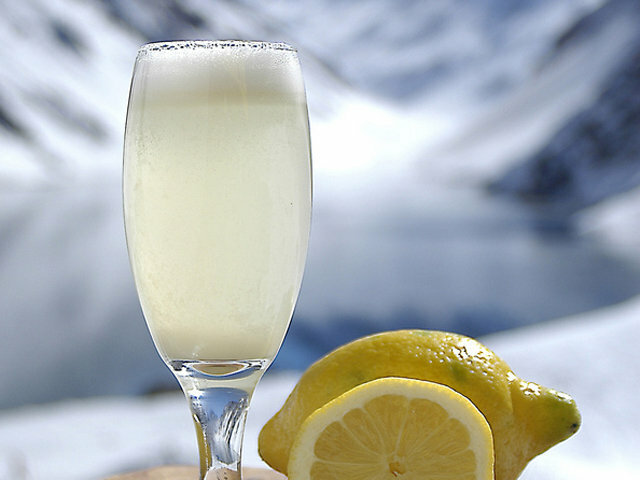 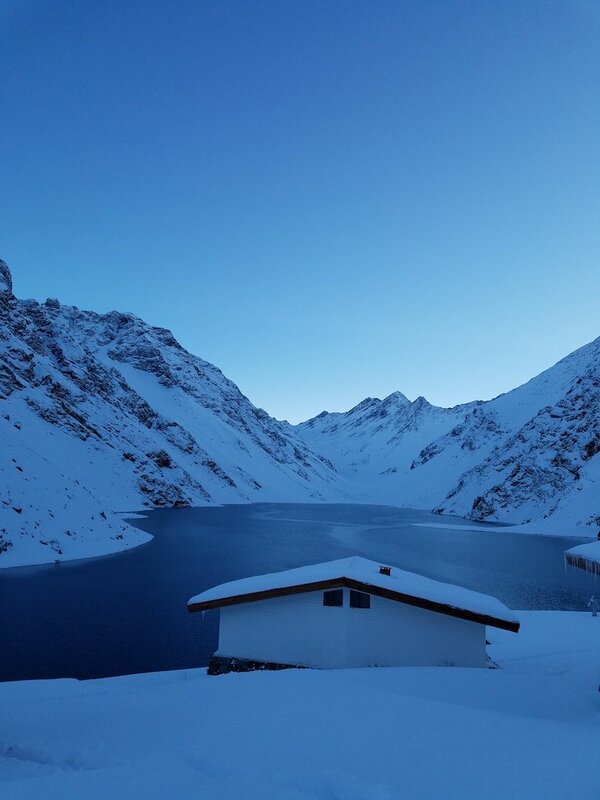 Browse through our collection of photography from Ski Portillo to get acquainted with it before your ski trip or to relive great memories on the slopes at Ski Portillo. 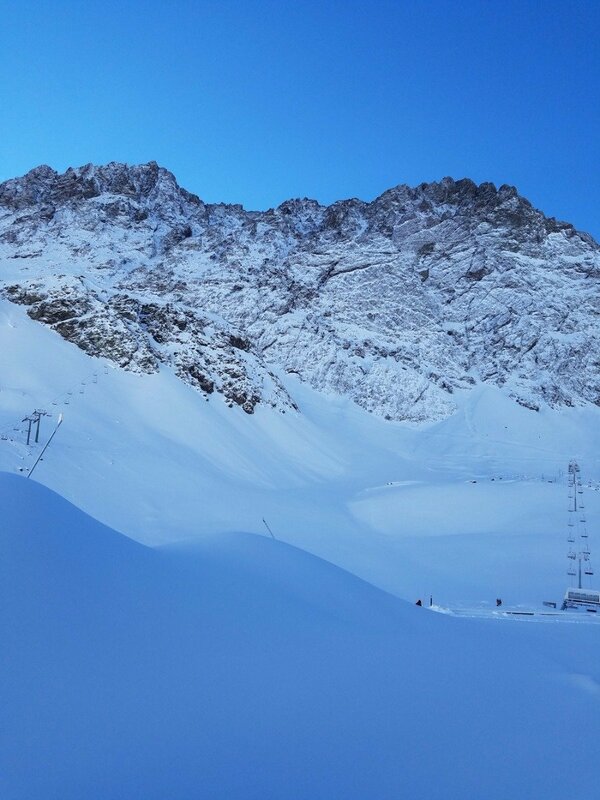 Ski Portillo is looking ready for an amazing 2018 season. 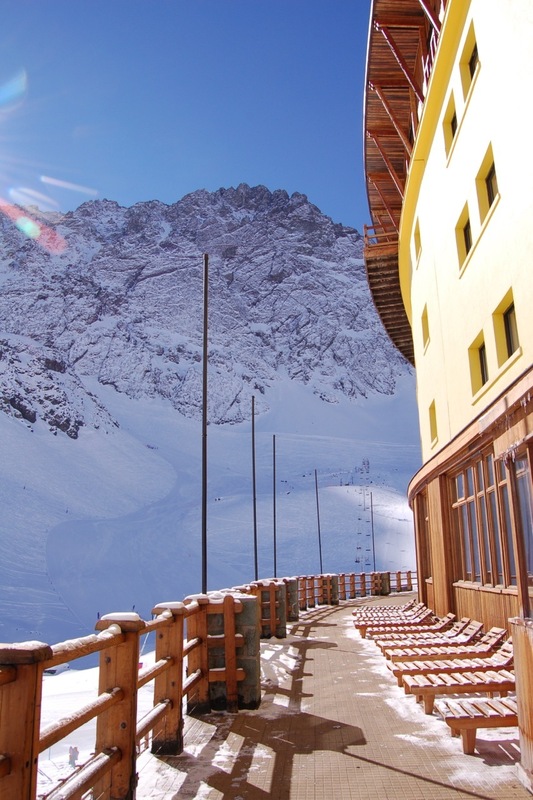 The sun crests over the horizon at Ski Portillo. 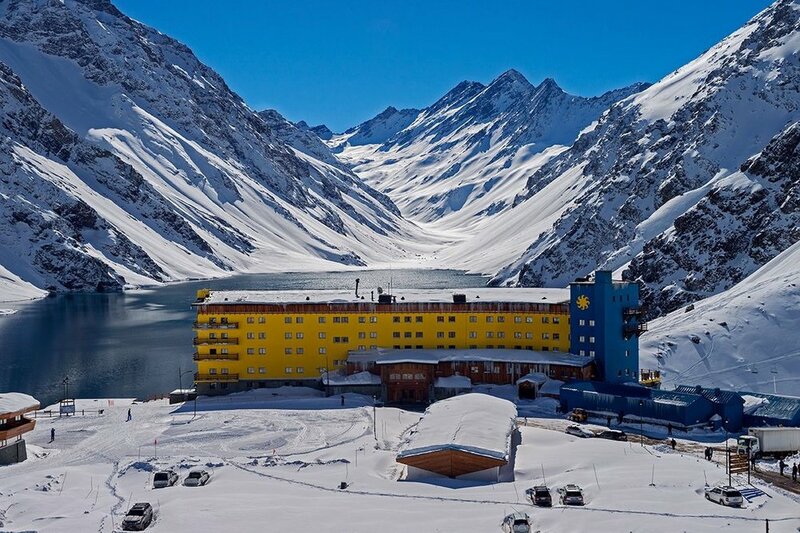 A fresh snow is helping to prep Portillo for the upcoming season. 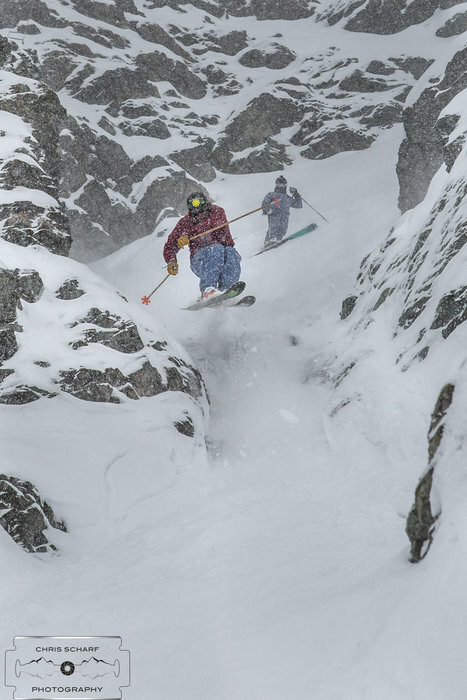 Ski Portillo's opening day for the 2018 season is confirmed for June 23. 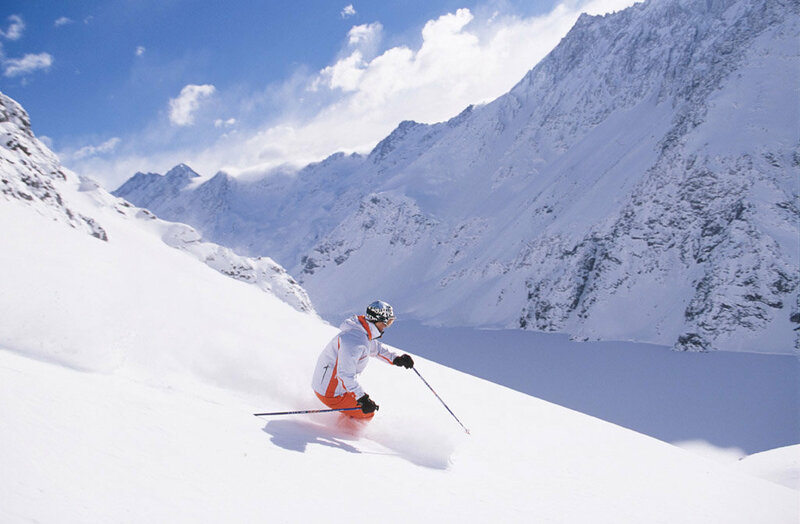 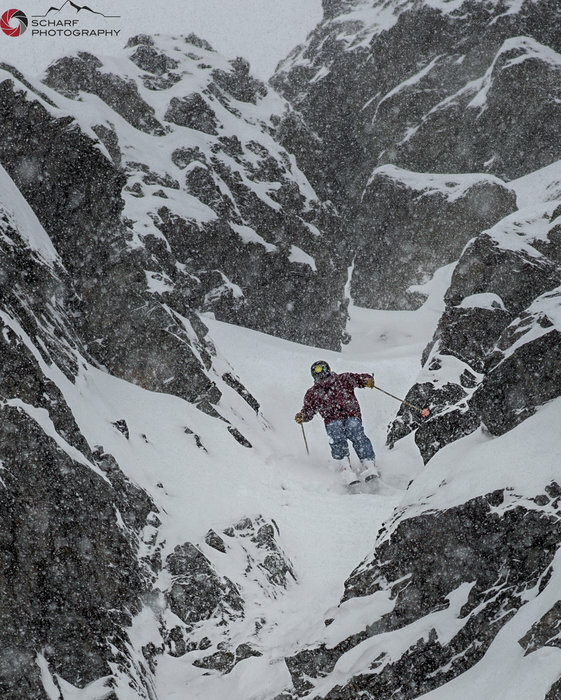 Plenty of powder skiing in Portillo, Chile, back in 2013. 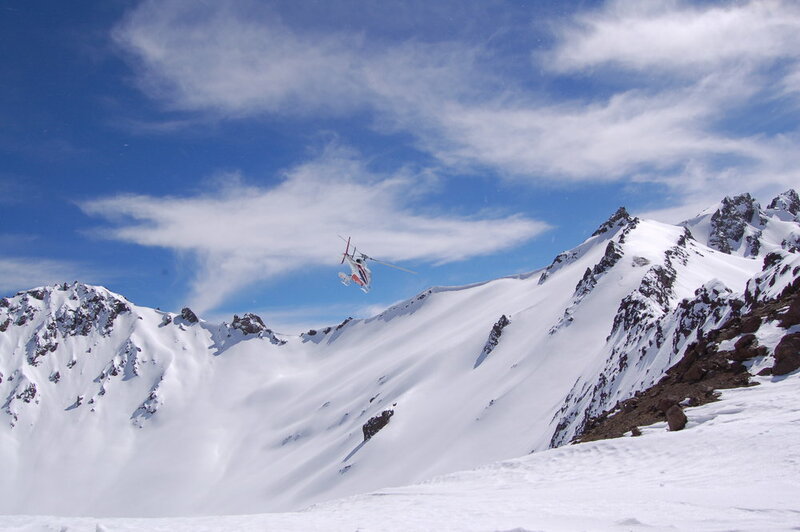 The heli lifts off from Portillo in 2014. 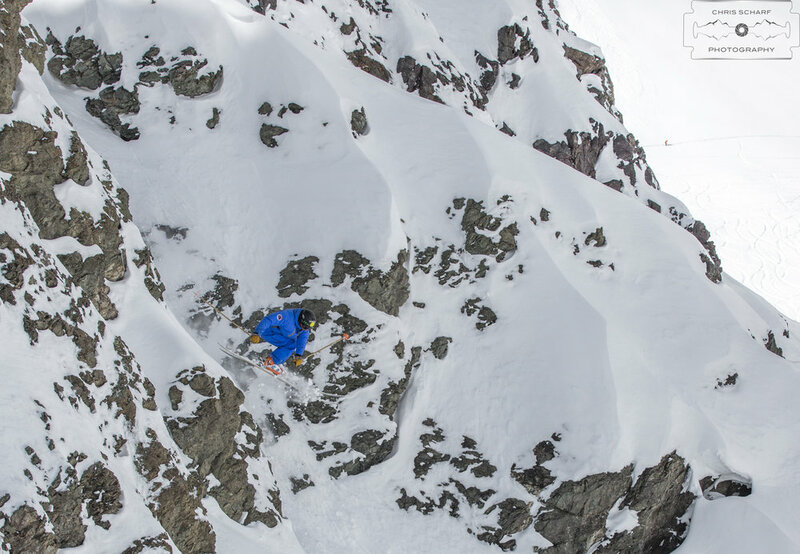 Skier Andrew Rumph taking advantage of the Portillo powder paradise in 2015. 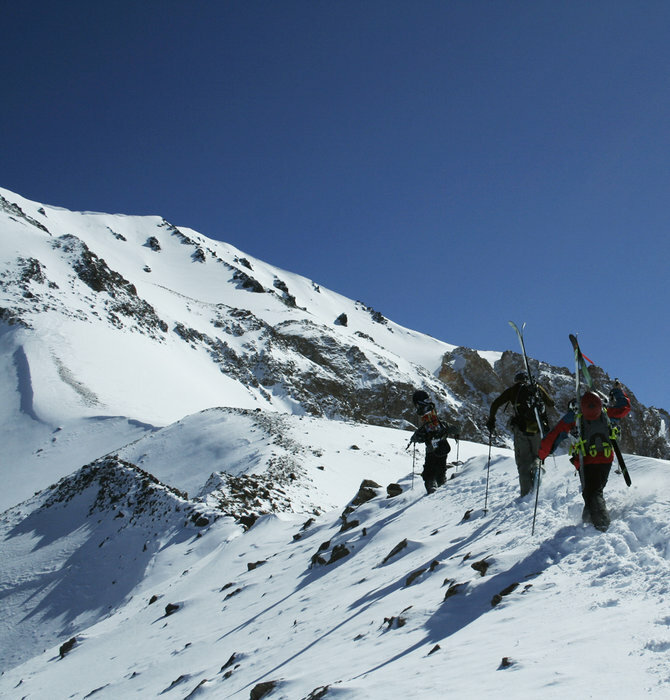 Lines like this are starting to fill in for Portillo's upcoming season. 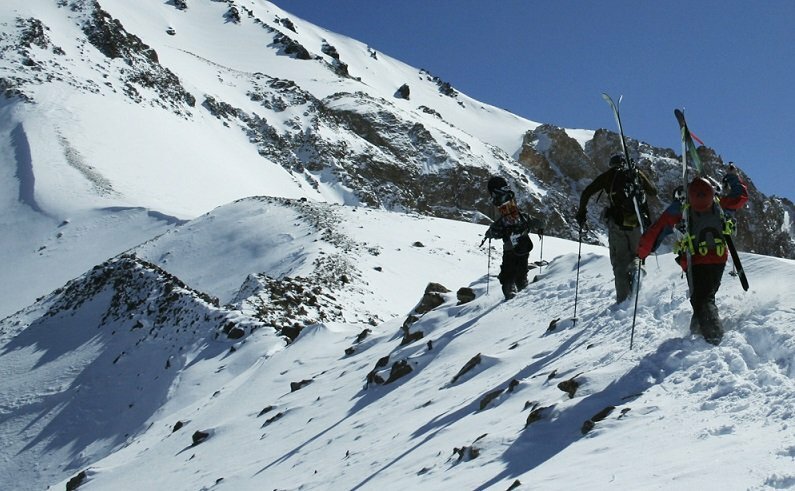 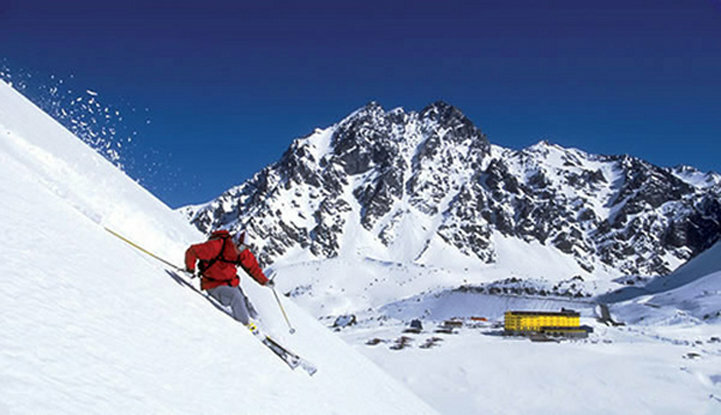 Three skiers hike for their turns in Portillo, Chile. 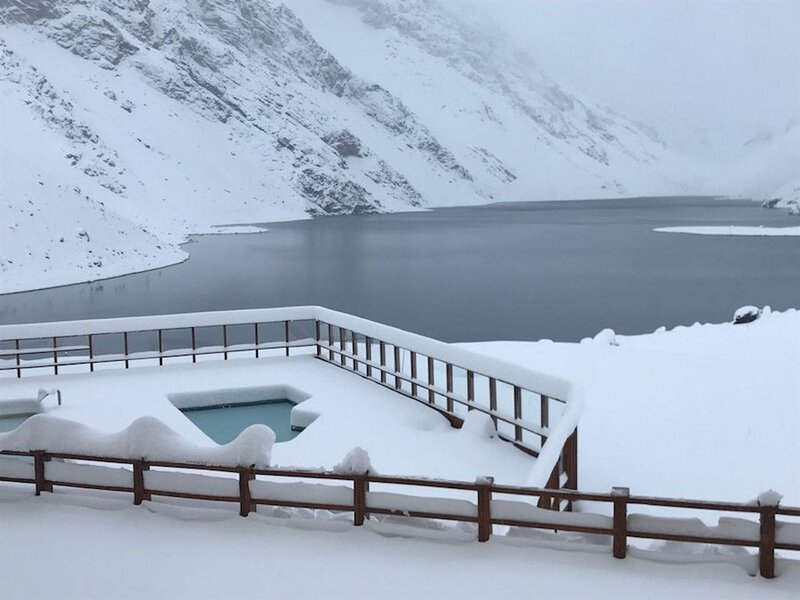 No sunny breaks and no complaining in Portillo at the moment. 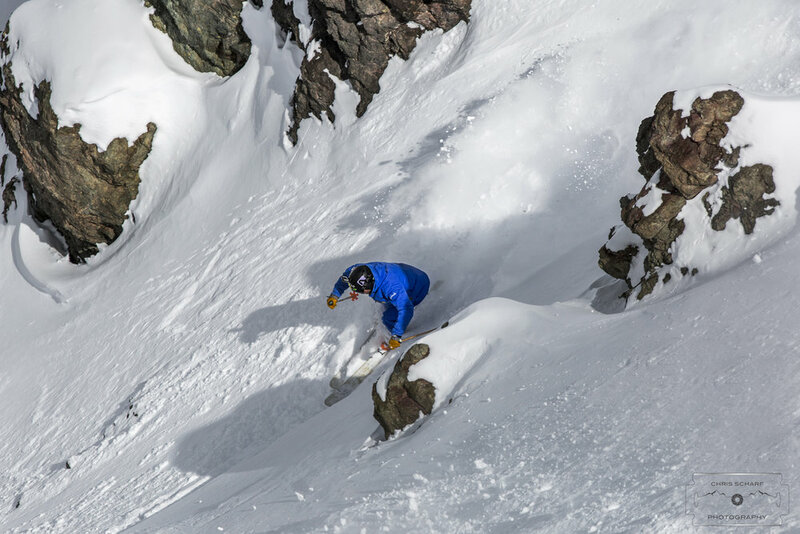 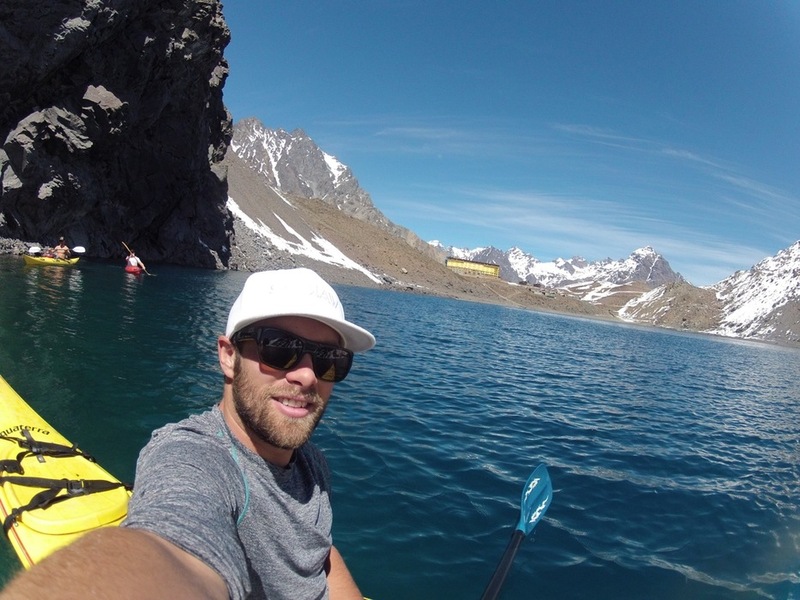 Ski instructor/coach, Ramp athlete and Freeride World Tour Qualifier competitor, Andrew Rumph displays his qualifications on the slopes of Portillo, Chile. 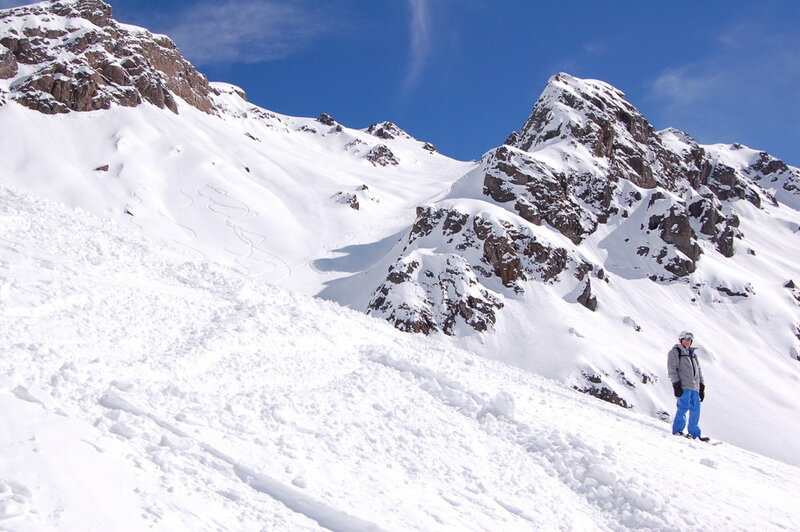 No shortage of snow covering Ski Portillo's steeps for those lucky enough to be down there right now. 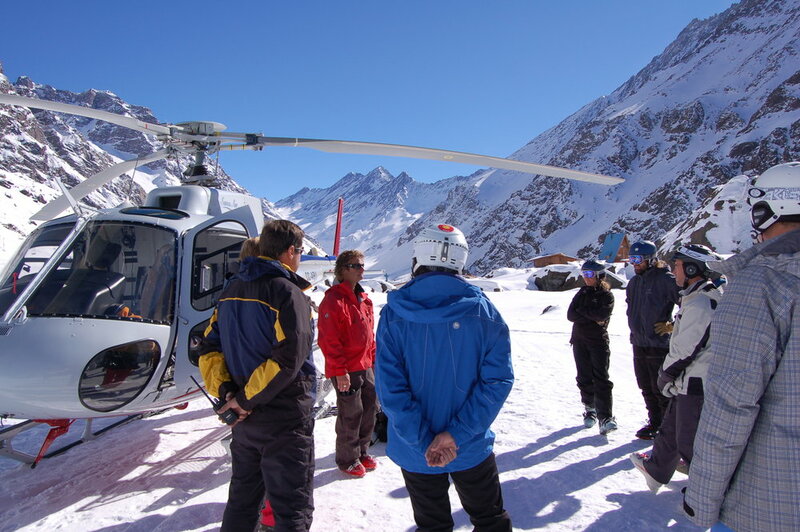 A pre-ski safety briefing from guide and patroller Craig Noble. 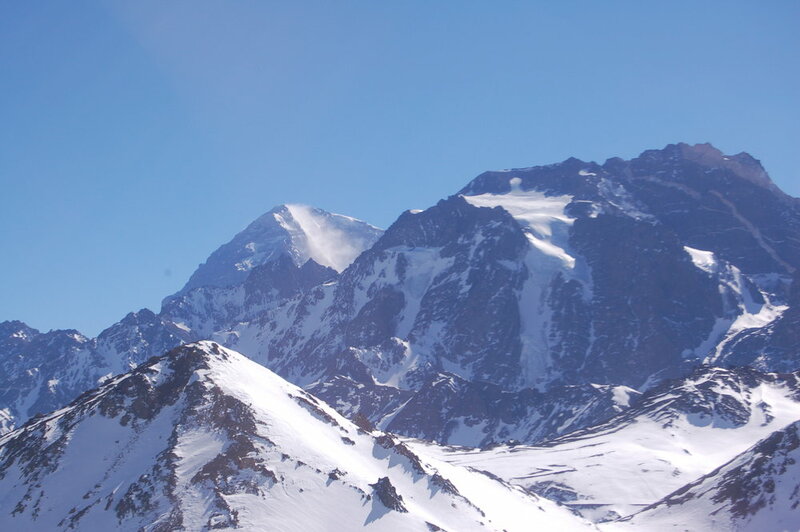 Argentina's Aconcagua, at 22,837 feet high one of the world's Seven Summits, as seen from the heli. 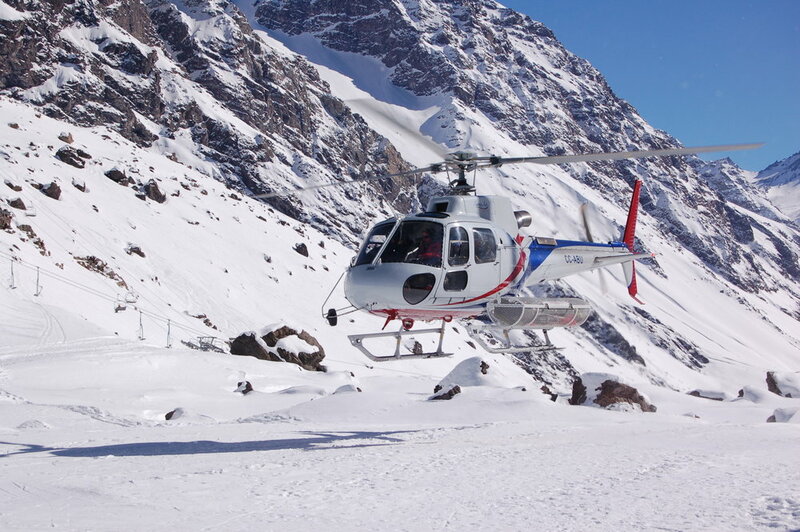 Heli flying back to get other group after depositing us in the Mardones Valley. 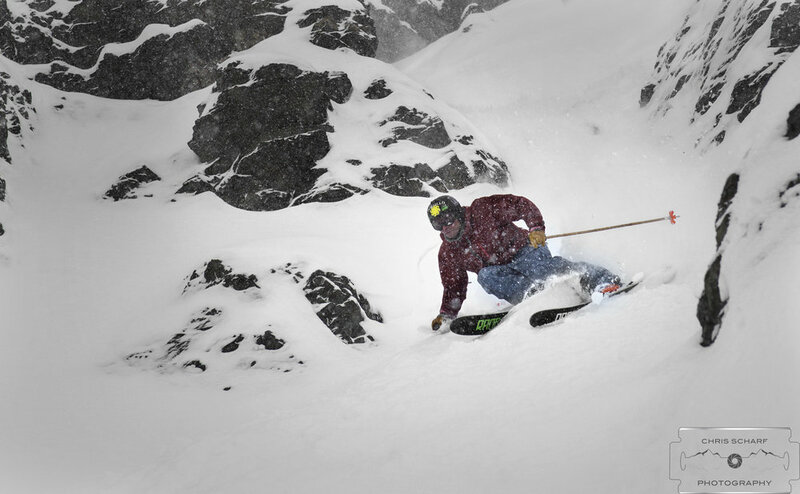 Leaving our marks in sparkling spring snow. 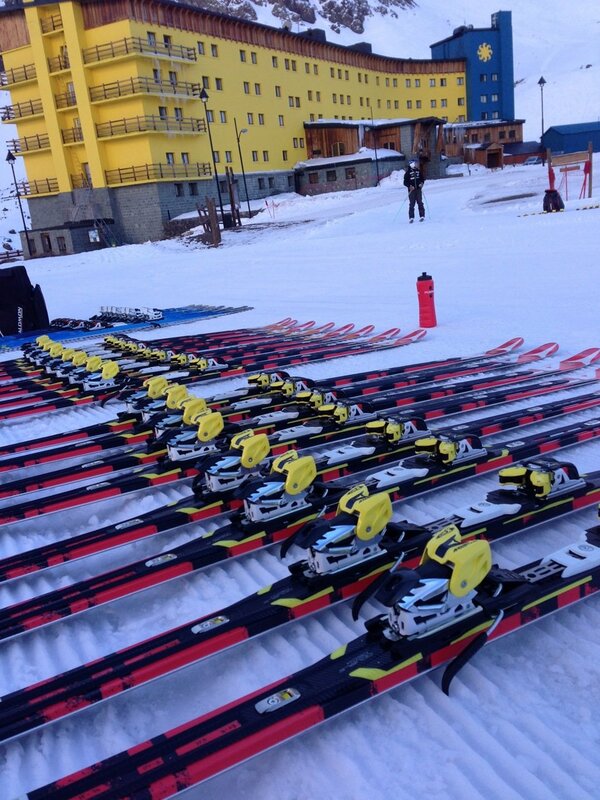 A typical pre dawn training session in Portillo Chile in September testing out different set ups on my Atomic skis. 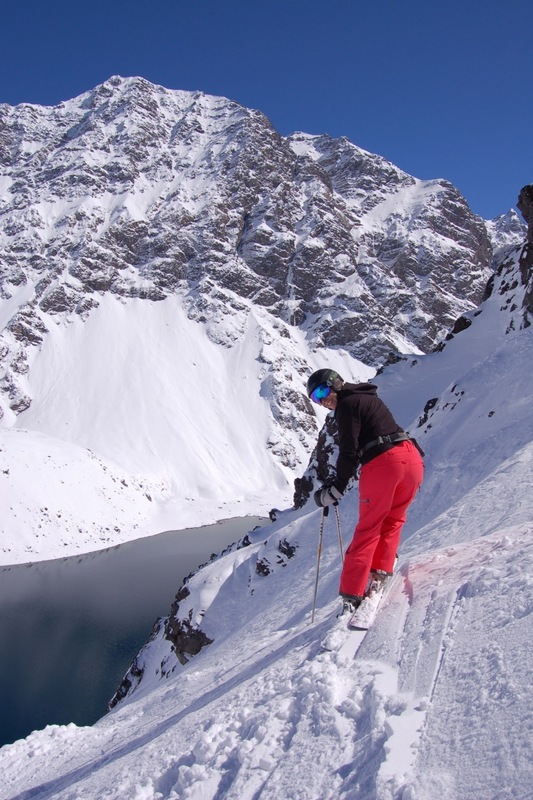 Portillo (and Aspen) ski instructor Cindy Leuchtenburg on the Roca Jack run. 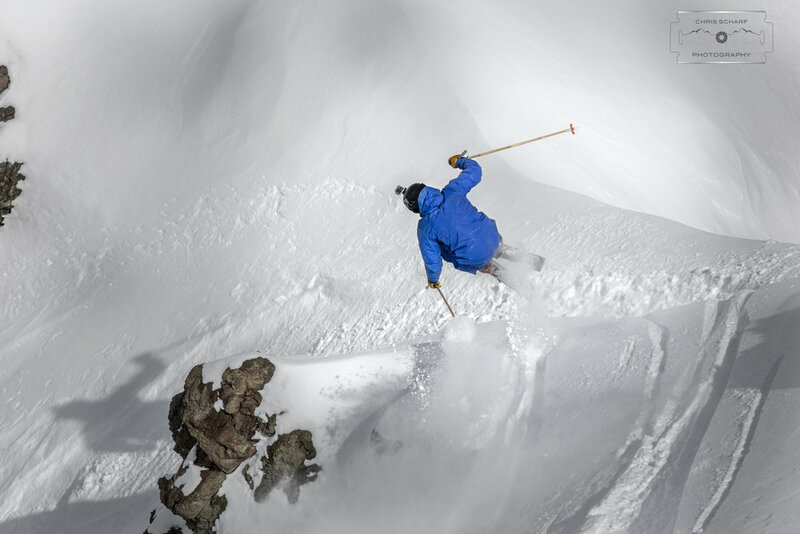 A five-person poma, the only one of its kind, whisks—and I mean literally whisks—skiers up the slope. 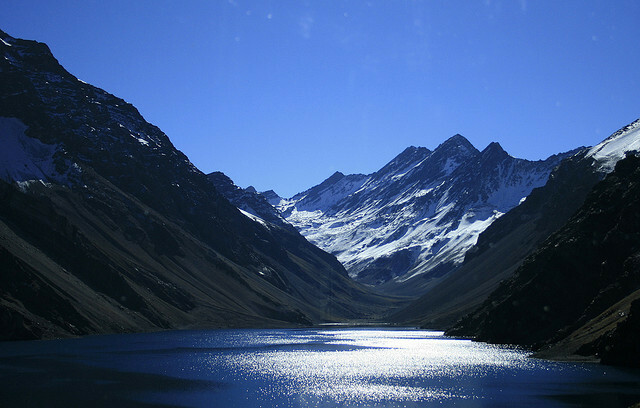 Lake Inca changes colors regularly during the day. 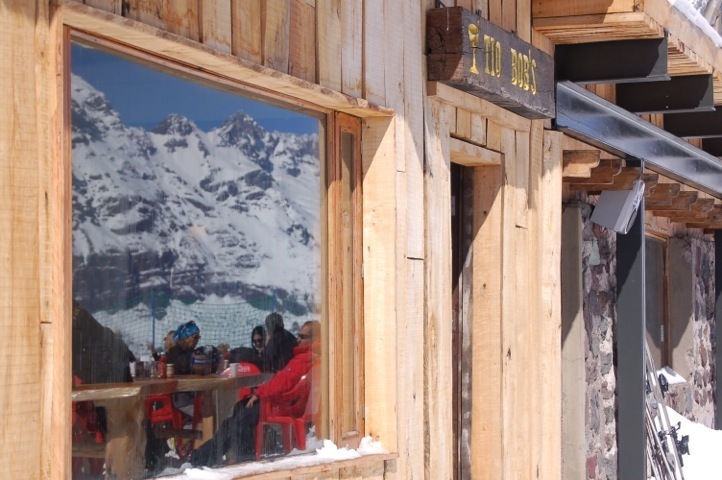 Lunch on the deck at Tio Bob's, Portillo's mid-mountain restaurant, is a beloved tradition. 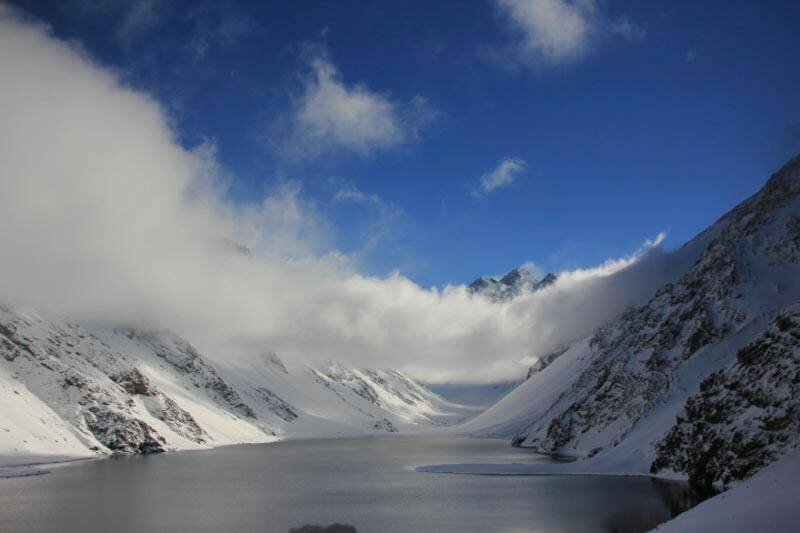 Me on the run called Garganta, with Lake Inca in the background. 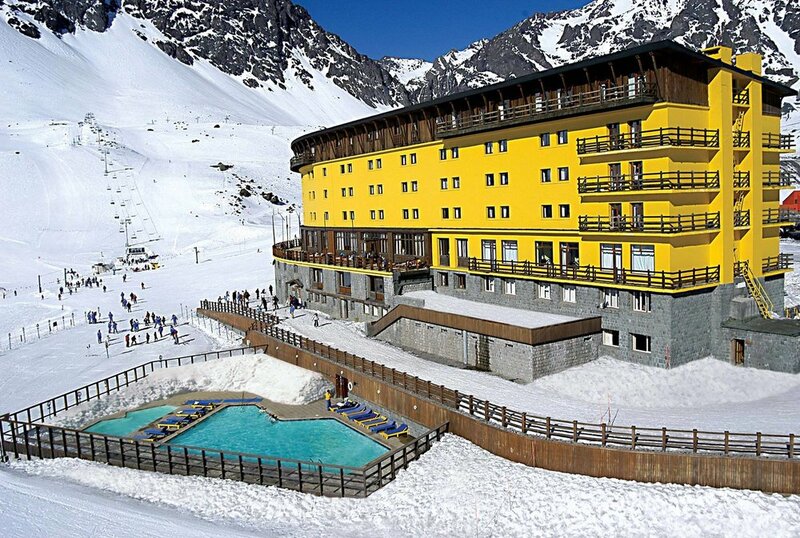 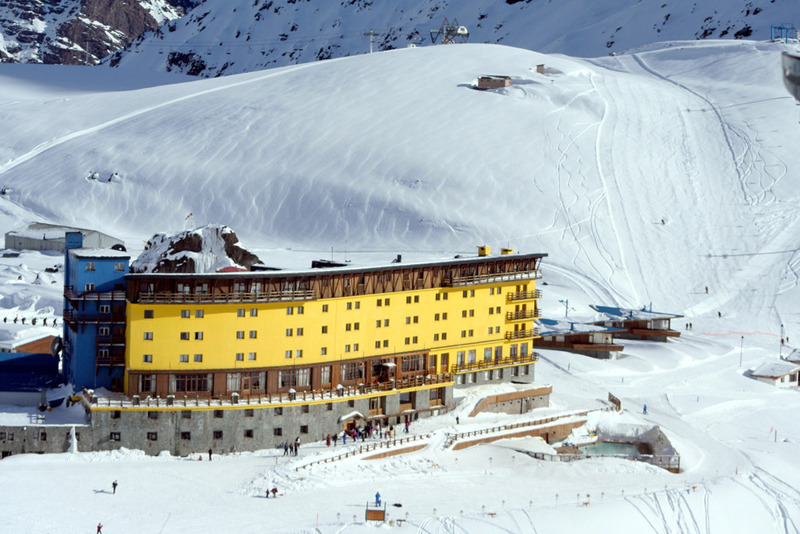 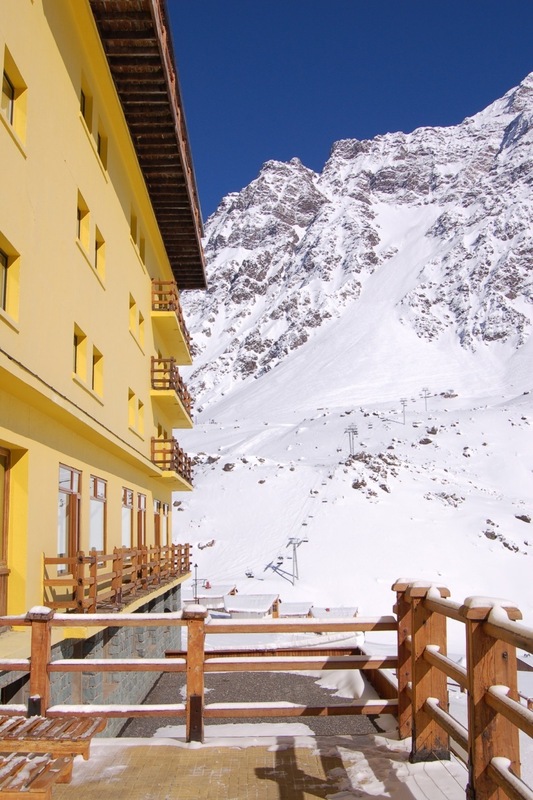 The Hotel Portillo with the Roca Jack run in the background. 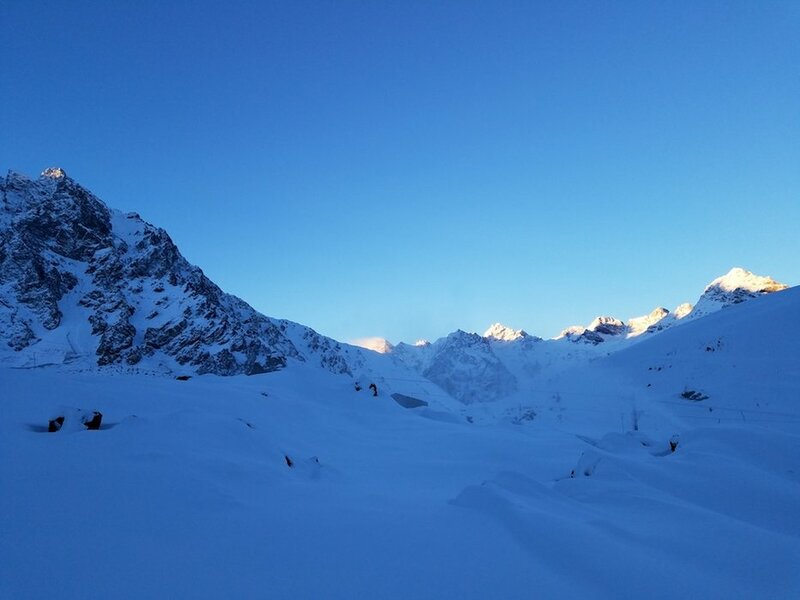 Early morning in Portillo, looking up toward the Plateau side of the ski area. 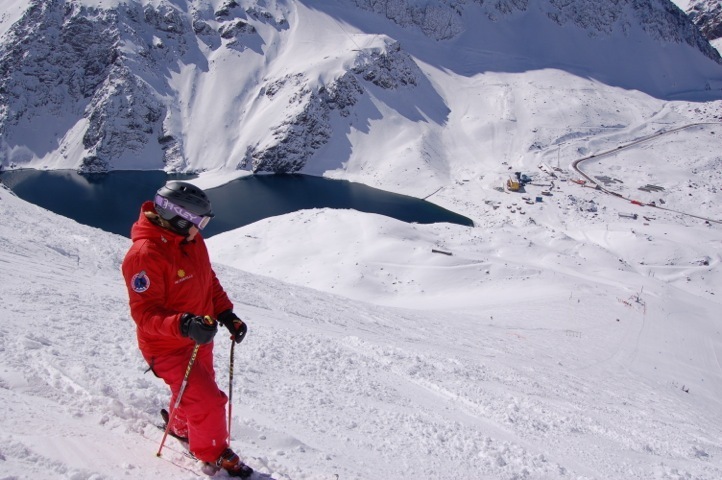 Radka keeps a close eye on what happens in Portillo. 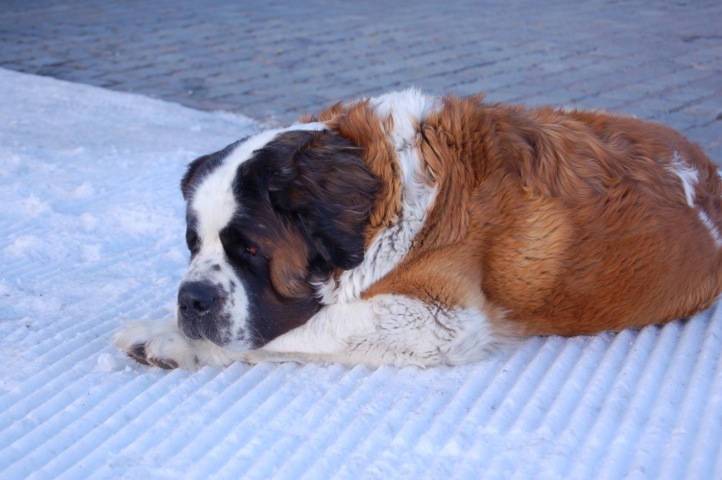 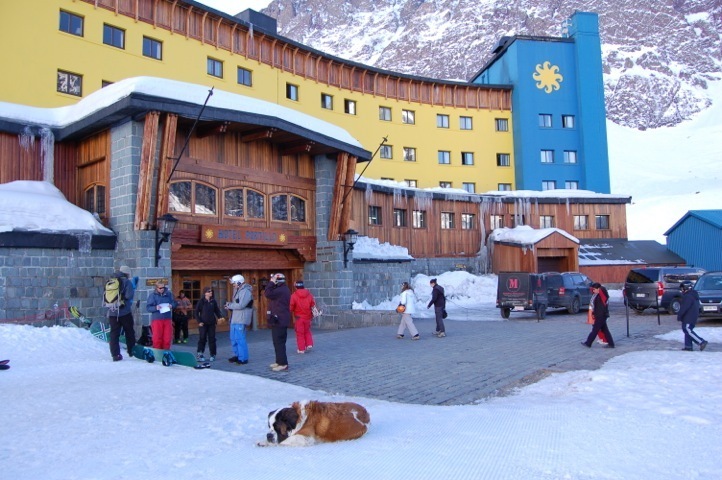 Radka, the hotel's Saint Bernard, in a typical position in front of the Hotel Portillo.